"Showtime, a-holes!" Disney + Marvel Studios have revealed a super fun new full-length teaser trailer for James Gunn's intergalactic sequel, Guardians of the Galaxy Vol. 2, to follow up the short "sneak peek" a few months ago. There's lots of new footage in this, including Baby Groot galore, plus another great song ("Fox On the Run" by The Sweet) playing in the background, too. Chris Pratt returns as Star-Lord, with a mega cast including Zoe Saldana, Karen Gillan, Chris Sullivan, Elizabeth Debicki, Kurt Russell, Dave Bautista, Michael Rooker, Tommy Flanagan, Nathan Fillion, Glenn Close as well as Pom Klementieff; plus Vin Diesel as Groot and Bradley Cooper as Rocket Raccoon. Fire this up and enjoy. 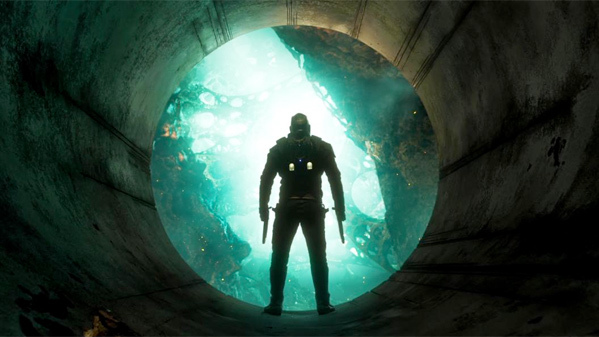 You can still watch the first teaser trailer for Guardians of the Galaxy Vol. 2 here, for even more footage. DO ME! Man the Guardians are just some of the best characters anywhere. Such fun group to watch. These guys are easily my favorite part of the MCU, and that's saying something because I love them all. I agree. They are the best ensemble, even over The Avengers. You know it's gonna be a good film when you cry of laughter just from watching the trailer. This can't come soon enough! Yes! Looks like more of exactly what was great about the first one. Cannot wait! And totally looking forward to hearing which songs made the soundtrack this time around. And to think we still have not even been teased with Kurt Russell yet!! The best trailer I've seen in years! It's so well timed and the soundtrack is awesome! This totally blew me away! Love it! I thought so, thanks for the tip! She's a he if that helps. Well...It's easy to fool people on the internet. I can tell people that I'm a pink elephant. Which I am. Can you prove me wrong? I'm actually a huge fan of many of the Marvel movies...lol Ignorant much? Gotcha. So the trailer doesn't do anything for you, but are you interested in the movie? The only part of the Marvel Cinematic Universe I care for. Looks tons of fun. James Gunn gets it , this trailer is awesome. I'm already in based on the strength of the first GoTG movie. I think the "I am Groot" gag has worn off for me. But 'Fox On The Run' is a great choice for a song tho.